Warner Bros. Interactive Entertainment and DC Entertainment today unveiled details for the Injustice: Gods Among Us Collector’s Edition. The North American package will be available beginning April 2013 in limited quantities for the Xbox 360® video game and entertainment system from Microsoft and PlayStation®3 computer entertainment, and will retail for $99.99. Note that the press release does not mention a Collector's Edition for the Wii U. 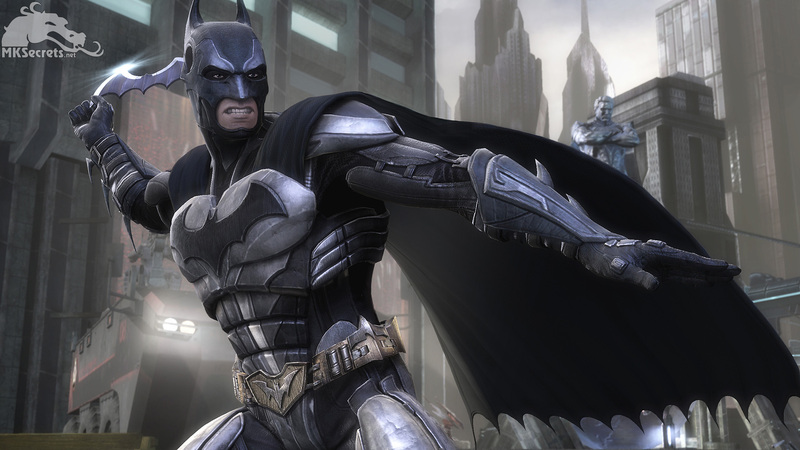 For all available information, please visit our Injustice: Gods Among Us section. 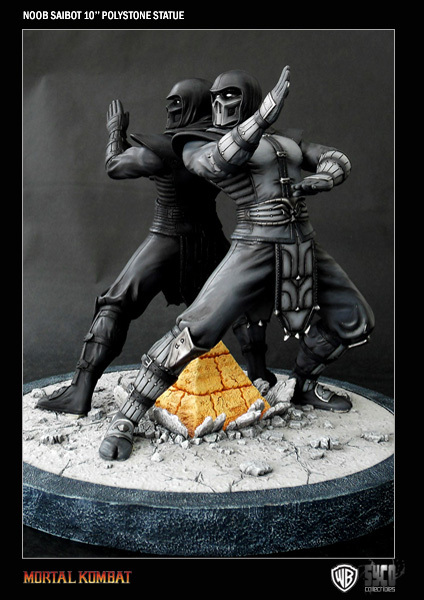 "Syco Collectibles are proud to bring you the Mortal Kombat 'Sub-Zero vs Scorpion Premium Format' Fatality Statue! 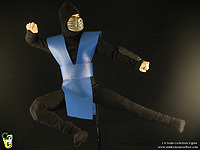 The Lin Kuei Assassin is featured performing his trademark Fatality on his rival and classic nemesis, Scorpion. 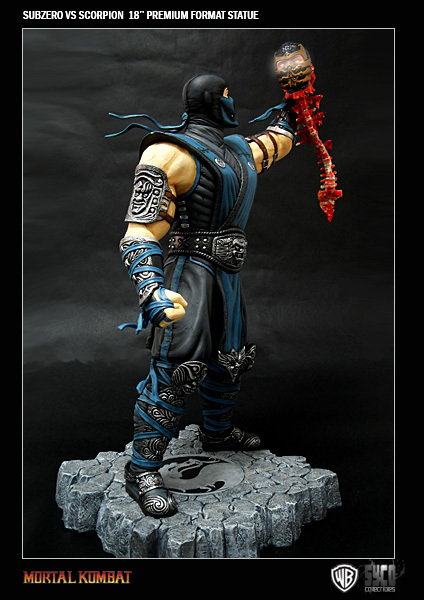 Cast in high-quality polystone and hand painted, this outstanding 18'' (from base of foot to top of head) Statue comes on a 1.5'' base and stands an impressive 19.5'' tall. 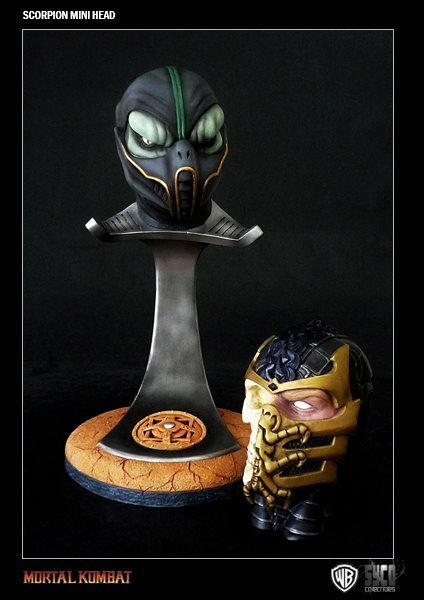 The statue comes with light up eyes in both Sub Zero's and Scorpion's head. 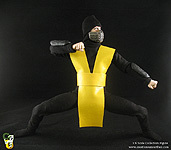 Also it comes with a switch out hand that holds part of Scorpions costume. 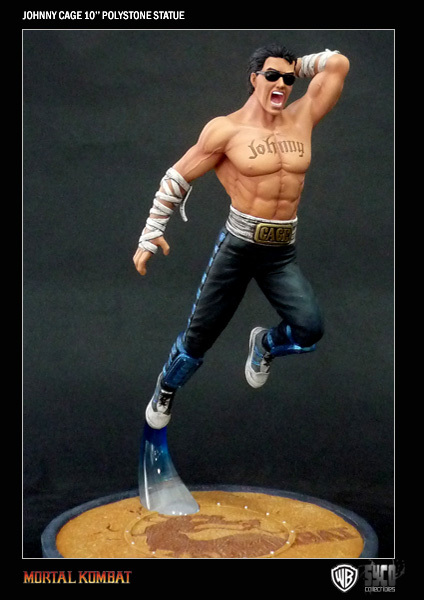 Each Statue is individually painted and finished with its own unique quality and detail. Each one comes with a Gold Authenticity Card and full color packaging." 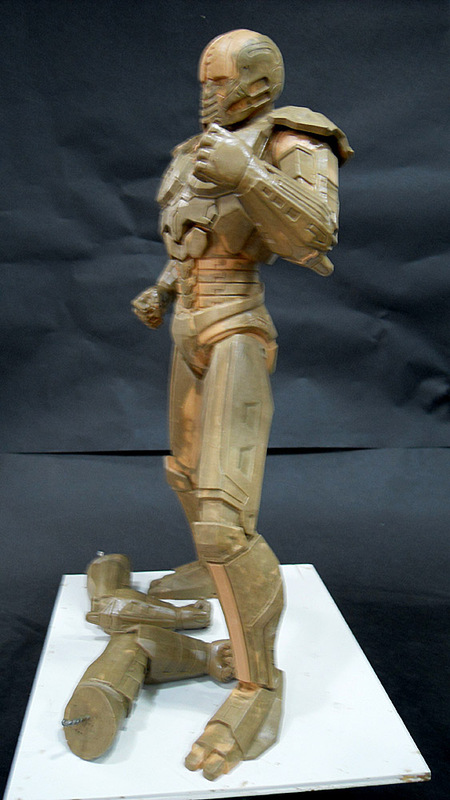 Exclusive base: "Cast in high-quality polystone and hand painted, this outstanding 18'' statue (from base of foot to top of head) comes on a 3.5'' Exclusive Base and stands an impressive 19.5'' tall. 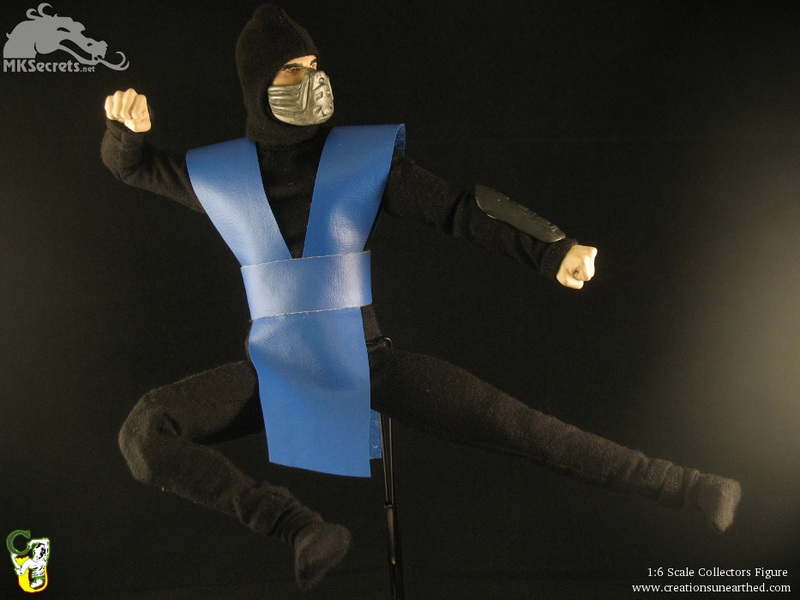 This Exclusive version comes with Light up eyes in both Sub Zero's and Scorpion's head. 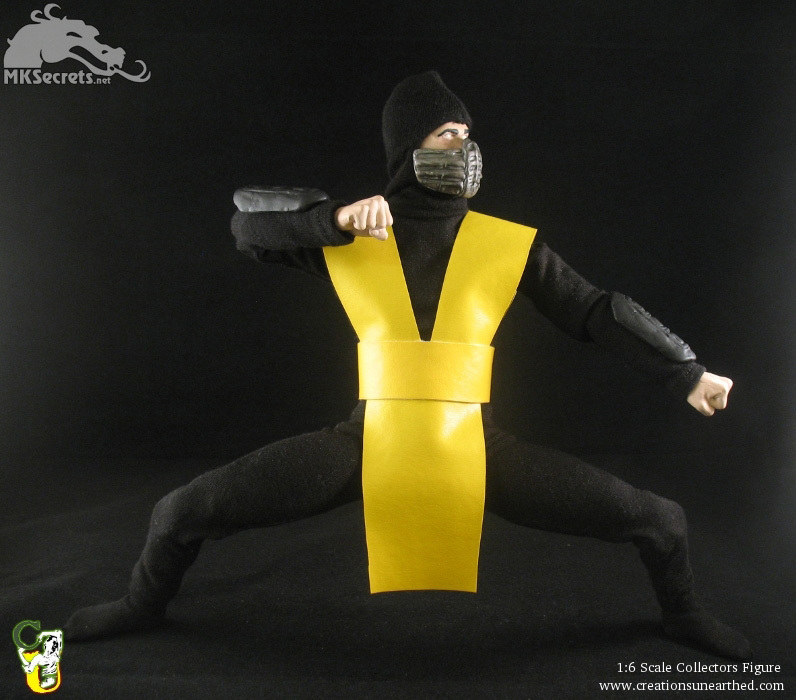 It also features a switch out hand that holds part of Scorpion's costume, it comes complete with a switch out arm that is half covered in ice, and an exclusive base which is 3.5'' tall and has an icy surface covered with frozen crystals emerging from the ground itself!" Syco Collectibles are proud to bring you the Queen of the Mortal Kombat world. Beloved by Kingdoms and destined to become a most noble and mighty ruler, Queen Sindel met a tragic end as she sacrificed herself for the protection of Earthrealm. 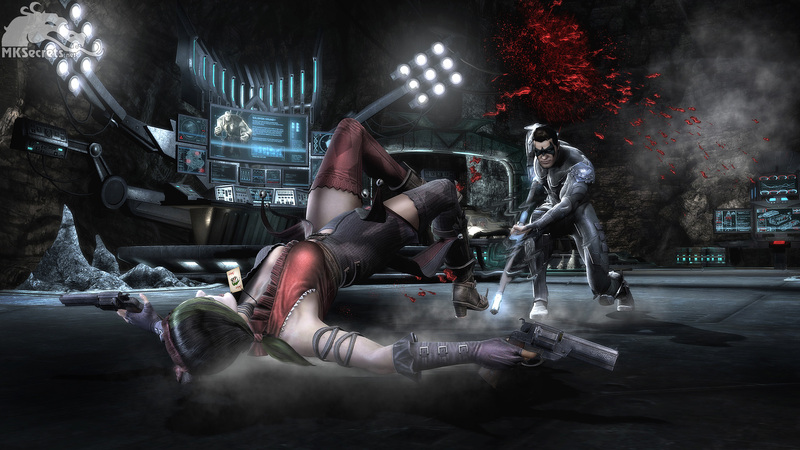 Her suicide created a powerful barrier that prevented Shao Kahn from invading our world. However, with the aid of unspeakable dark sorcery, the Emperor resurrected and enslaved the Queen's body, mind, and soul to obey his poisonous will. Once a hero and defender of peace, Sindel is now a deadly threat to the very existence of the realms. 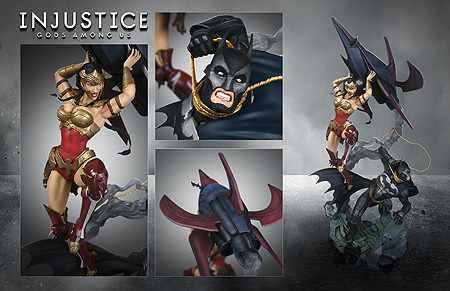 STANDARD EDITION DESCRIPTION: Made from cold cast polystone resin this beautiful statue stands 15.5'' tall from the bottom of the base to the top of her head. Each Statue is individually painted and finished, each with its own unique quality and detail. Each one comes with a Silver Authenticity Card and full color packaging. EXCLUSIVE EDITION DESCRIPTION: Made from cold cast polystone resin this Exclusive Version features a pair of switch out arms giving you various poses. This beautiful statue stands 15.5'' tall from the bottom of the base to the top of her head. Each Statue is individually painted and finished, each with its own unique quality and detail. Each one comes with a Silver Authenticity Card and full color packaging. We have a gigantic gallery with images of these statues on our Facebook and Google+ pages. We offer 20% Discount for all currently available statues. Click here to visit our special discount page. Click here to visit Syco Collectibles official website. 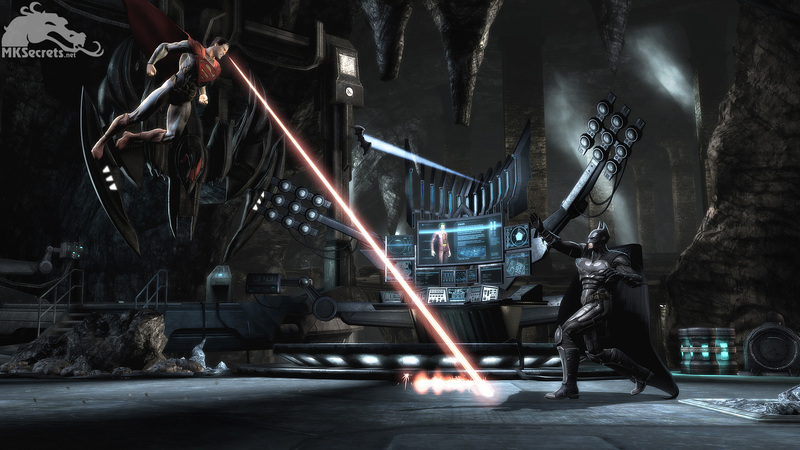 Netherrealm Studios also announced that the game will receive a global release in April 2013. In addition, we just received 3 new screenshots from the game. 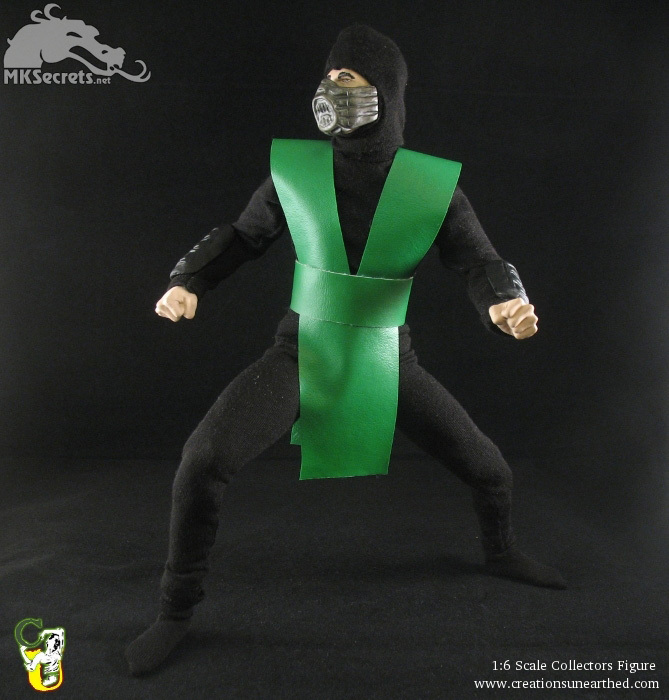 Take a look at this new Mortal Kombat: The Movie (1995) collectible figures by Creations Unearthed. They are 12 inches in height and fully articulated. Visit Creations Unearthed for more information.